Profile: I was born in Lichtenburg, in the North West Province of South Africa, in 1964. I qualified as an Automotive Machinest in 1985, and worked in this trade for 10 years, after which I had my own business for 20 years. I have had a passion for knives all my life but never took the time to pursue my passion. In 2015, after I sold my business and retired, I decided it was time to take my passion with full eager. I attended many courses, and before I knew it, knife making became a full time hobby! 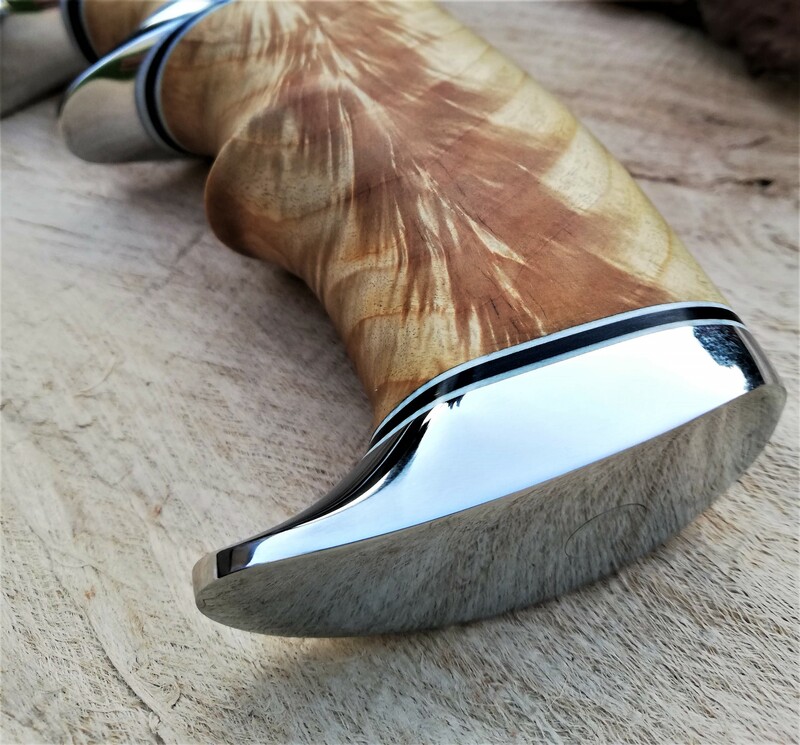 In August 2017, at the South African Knife Makers Guild Show, I entered four knives in the Non-Guild Members Category, of which two knives were in the Top Ten out of 150 entries. This inspired me to pursue becoming a Guild Member. In 2018, I made five knives, as required by the South African Knife Makers Guild, and through hard work, and assistance from Guild Members, I passed the test. I became a South African Knife Makers Guild Member in May 2018. 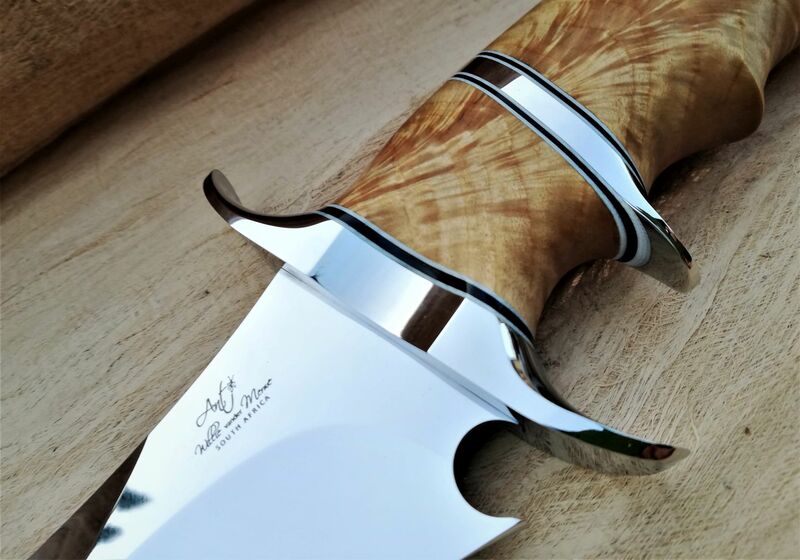 In August 2018, at the South African Knife Makers Guild Show, I was awarded the 'Best New Knife Maker' award. I'm lucky enough to live in Hartbeespoort next to the dam. Here is so much inspiration to be found...beautiful landscapes and scenery. Each day living here really stimulates my creativity. Together with me, my wife, Sunette. She helps with the sales of the knives and makes sure that I always have stock of materials to make knives with. I consider myself a lucky man to have her by my side here in Hartbeespoort while being able to live out my passion for making knives.